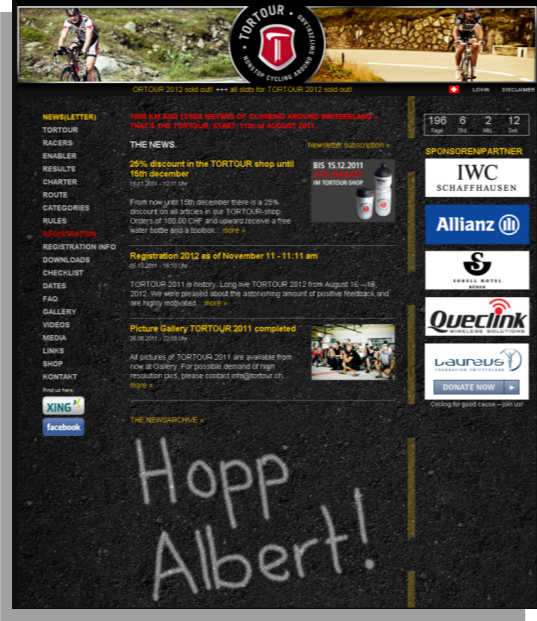 TORTOUR is the first non-stop-bike-race in Switzerland. Lasting several days, the event combines the best features of all existing long distance races. TORTOUR is designed for professionals and amateurs, teams and solo bikers. The race is the ultimate challenge for racers and their supporting teams. Queclink Wireless Solutions is the official tracking device partner of TORTOUR We provided GL200s for each participant. TORTOUR starts in Neuhausen and goes over 1000 km (and about 13000 meters of altitude difference!) around Switzerland. The finish line is at the Rhine Falls in Neuhausen (close to Schaffhausen).